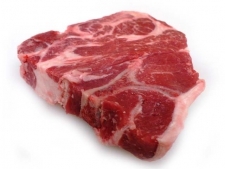 Why buy generic cuts of meat at the mass grocery store chains if you don’t have to? 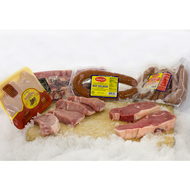 With our collection of meat for sale, you get the very best in personalized cuts, special orders, and quality USDA products full of flavor and incomparable freshness. 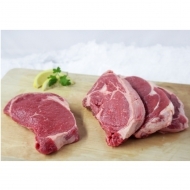 With a wide selection of meat for sale, including pork, poultry, bacon, sausage, Premium USDA Choice Beef, and more, you are sure to find the perfect main dish for your next meal. We have a large selection of all your favorites such as pork chops, pork loin, chicken wings, filet mignon, T-bone steaks, and much more. We also feature rare finds. 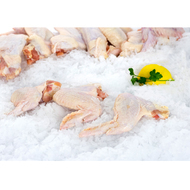 We have exotic meat for sale for the adventurous food enthusiast. When shopping for exotic meat for sale, choose from our selection of harder to find items such as rabbit, alligator, frog, and turtle meat. From Wholey origins selling live poultry, meats, sausages, and coffees in McKees Rocks, Pennsylvania in 1912, our operation has grown to sell all types of meats. With our wide selection, there’s practically no meat too obscure. Ordering from our delivery service is like special ordering meat from a friendly local butcher. Wholey’s Market takes the same care in preparing its USDA Choice fresh beef as it does its cleaned rabbit. With a commitment to providing our valued customers with only the finest in quality and freshness, we also partner with the finest purveyors of alligator, frog, and turtle meats to ensure shoppers have an easy one-stop shop for all their exotic meat needs. Whether looking for a way to save time and energy shopping online for everyday items or planning a large get-together in need of bulk portions, our selection of seafood, meats, and other specialties are the perfect option. When you add in the fact that free shipping kicks in at $200, it’s easy to fill a cart that ships for free, much like that old-fashioned, neighborhood butcher would do for his customers if he was still around in the Internet era. If you have any questions while shopping with us we would be happy to assist you further!